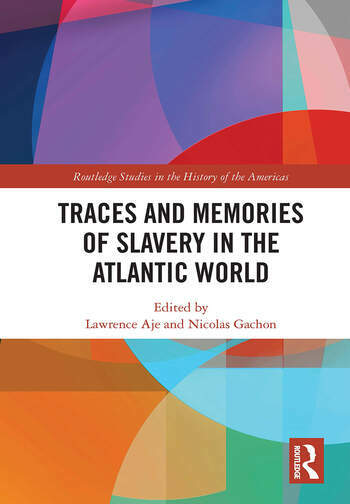 Traces and Memories deals with the foundation, mechanisms and scope of slavery-related memorial processes, interrogating how descendants of enslaved populations reconstruct the history of their ancestors when transatlantic slavery is one of the variables of the memorial process. While memory studies mark a shift from concern with historical knowledge of events to that of memory, the book seeks to bridge the memorial representations of historical events with the production and knowledge of those events. The book offers a methodological and epistemological reflection on the challenges that are raised by archival limitations in relation to slavery and how they can be overcome. It covers topics such as the historical and memorial legacy/ies of slavery, the memorialization of slavery, the canonization and patrimonialization of the memory of slavery, the places and conditions of the production of knowledge on slavery and its circulation, the heritage of slavery and the (re)construction of (collective) identity. By offering fresh perspectives on how slavery-related sites of memory have been retrospectively (re)framed or (re)shaped, the book probes the constraints which determine the inscription of this contentious memory in the public sphere. The volume will serve as a valuable resource in the area of slavery, memory, and Atlantic studies. 9. Lessons from Abingdon Plantation at Reagan National Airport in Washington, D.C.
Lawrence Aje is an Associate Professor of United States history at the University Paul-Valéry, Montpellier. Nicolas Gachon is Associate Professor of American Studies at University Paul-Valéry, Montpellier.